Developer Owen Perry knows how to throw a party, you have to give him that. 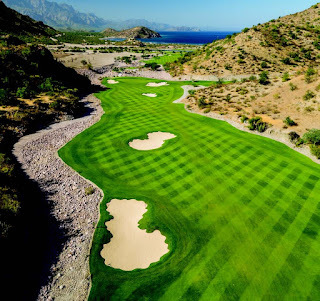 To celebrate the grand opening of his Villa del Palmar Beach Resort & Spa, the man invited a few hundred close and personals, his golf course architect – Rees Jones – and his guitar-playing pal Don Felder, the former Eagles frontman. Talk about taking it to the limit. You can bet the Jose Cuervo was flowing like the mighty Rio Grande down Loreto way when Perry welcomed a goodly gaggle of writers to sip, sup and hack away at Jones’ splendidly lush layout adjacent to the cerulean waters of the Sea of Cortez. Tough gig. If you’ve never heard of Loreto, you’re certainly not alone. It’s a four hour-drive from Baja’s provincial capital of La Paz, and six hours north of Cabo San Lucas, where the golf boom over the past two decades helped fuel a spike in tourism at the southern end of the peninsula. La Paz didn’t fare quite as well, having seen a Gary Player course – and a Tom Doak design south of the city – hit the skids after a brief, greeny existence. 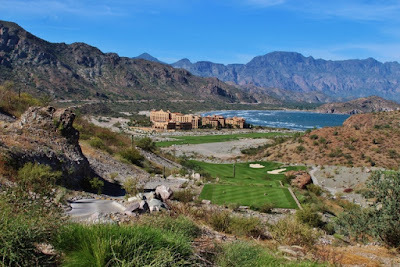 So it took a mighty leap of faith on Perry’s part to roll the dice on a golf resort and residential development in sleepy Loreto, better known for sport fishing and the finale of “The Bachelor’s” seventh season back in 2005. The intrepid Spaniards were the first Loreto investors back in 1697 – followed by Jesuits, Franciscans and Dominicans. Perry’s Danzante Bay property isn’t meant to cultivate souls, only to give a needed economic jolt to an otherwise underdeveloped piece of pristine Mexican coastline. 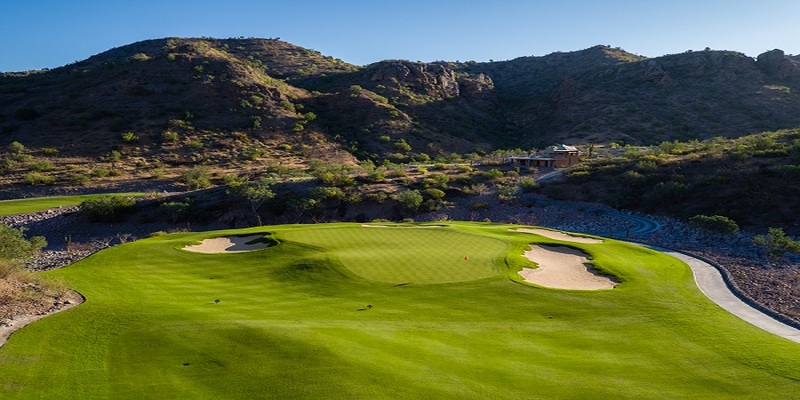 There is one other development down the road a piece – with a David Duval-designed golf course – but Villa del Palmar is meant to attract a well-heeled horde of golfers once the word gets out. than 178 yards due to its dead downhill trajectory. through valleys, arroyos, dunes and foothills. noted when he joined our group for the back nine. putt and cost him a bird. buddy Felder and his estimable back-up band. indeed dancing to remember and others to forget.